In the past few months, fashion trends have seen a rise in the appearance of an ancient occult symbol: the evil eye. From tattoos to earrings, necklaces to home décor, the symbol has been popping up everywhere. But what is it and what does it really mean? And why on earth is something known as “evil” now trending in the world of fashion? Sending Evil Vibes. You’ve likely heard someone say the phrase once or twice, “they’re giving you the ‘evil eye’ stare” – it’s been around for centuries and has been a part of civilizations across the globe. It refers to the malevolent glance of squinted eyes focused with anger or bad intent toward another person nearby. Ancient Beliefs. 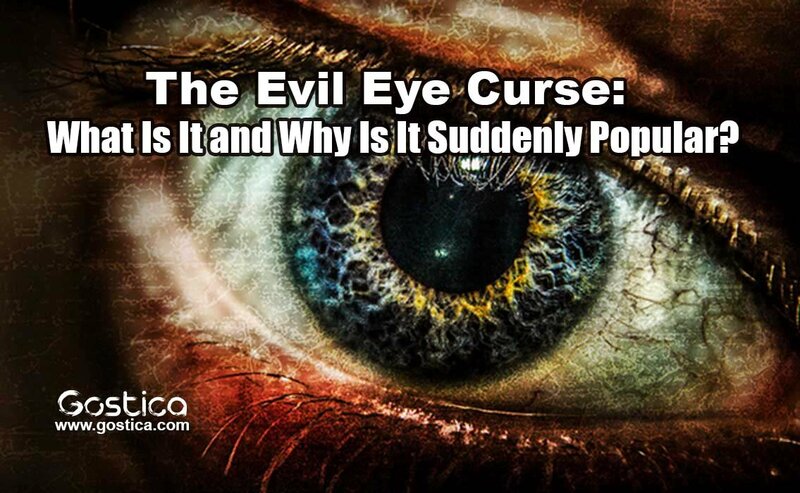 Throughout history, several civilizations have believed that the act of giving someone the ‘evil eye’ constituted placing a curse upon them with a single glance. It was considered a way to wish evil on your enemies and was something that has long been considered serious enough to warrant protection. Belief in the Eyes. “Eyes are said to have special powers; they are said to be the gateway to a person’s soul. Belief in the power of the eyes is so powerful that any eye affliction has come to suggest evil and bad luck,” LiveScience.com explains. It is because of this belief that the curse gained its momentum. The Talisman. As a result, many generations over the years have used specific talismans and protective symbolism to ward off the evil of the curse. Ironically enough, the symbolism for both has become known as the evil eye as well. The presence of the all-seeing eye is symbolism for warding off evil. Roots in the Occult. The evil eye symbolism and belief in the curses and power of the eyes in general, are deeply rooted in what we consider the occult today. They are commonly associated with sorcery and witchcraft, black magic and mysticism beliefs, just to name a few but have been part of the world’s culture for centuries on many different levels. Ever-Present Reminder. “Nearly every major culture believed in the ‘gaze of malice’ at some point in their history, and the signature blue and white amulets are an ever-present reminder of the tradition’s stronghold in Eastern Europe, the Middle East, and some regions of India. Here in the West, we’re just now catching on – and capitalizing on – an already-established tradition,” writes Racked.com. Female Power. Perhaps the latest surge of the age-old symbol can be related to its roots in feminine power and its obvious relation to the recent surge in the women’s movement. The eye is frequently seen inside the palm of a hand which is meant to embody “female power” Racked.com explains. Women Are the Antidote. It is widely accepted in terms of the evil eye talismans, that their connection to the feminine mystique and symbolic nature is the source of the power for warding off the evil eye curse. By wearing the feminine symbol, you are essentially protecting yourself from any potential evil eye curses by way of feminine symbolism for life. Superstitions and Curses. The root of the curse is said to lie with jealousy above all emotions. In some cultures, women will even go out of their way to keep their children away from the potential “evil eye” gazes of jealous women who could not have children of their own. A sense of Empowerment. “In a way, wearing evil eye jewelry can be a form of empowerment. Whether we realize it or not, adorning ourselves with these symbols is a rebellion against those who would cast an unwanted glance our way at a party, in the office, or in our online spaces,” Racked.com writes. Protection and Style. Besides the history and symbolic protection of the evil eye talismans, the objects are also strikingly beautiful with eye-catching (see what I did there?) color. Combining these elements makes it no wonder the symbol is catching on in the fashion world. Attraction to the Symbol. “Even if our attraction to these images is purely aesthetic, it’s hard to deny that the rich origin story behind them could carry some sort of subconscious weight. Of course, it helps when the amulet is a thing of beauty,” writes Racked.com.